Our Group Company | Iwatani Malaysia Sdn.Bhd. 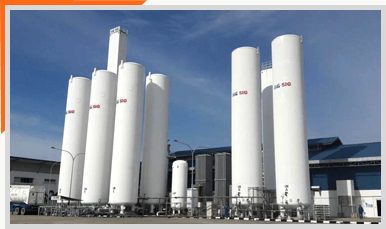 Iwatani-SIG Industrial Gases Sdn. Bhd. was established in 2012 at Samalaju Industrial Park, Bintulu SARAWAK, it provides Nitrogen and Oxygen to our client. Iwatani-SIG will continue to strive forward by providing our customers with our expertise and experience in industrial gases as well as support services. We will continue to supply Gases and become the professional supplier that can create win-win situation for our client. Copyright 2016 Iwatani Malaysia Sdn.Bhd. All Right Reserved.